In the webpage you will see the “Downloads” section. Bring your cursor over the tab and a drop-down list will show-up. There is a “Free downloads section” and under this section there should be “player”. Click on the link and download the player and install it. In the webpage go to the “download” tab and click on a drop-down desktop link. Download the ISO image that is suitable for your computer operating system/hardware. 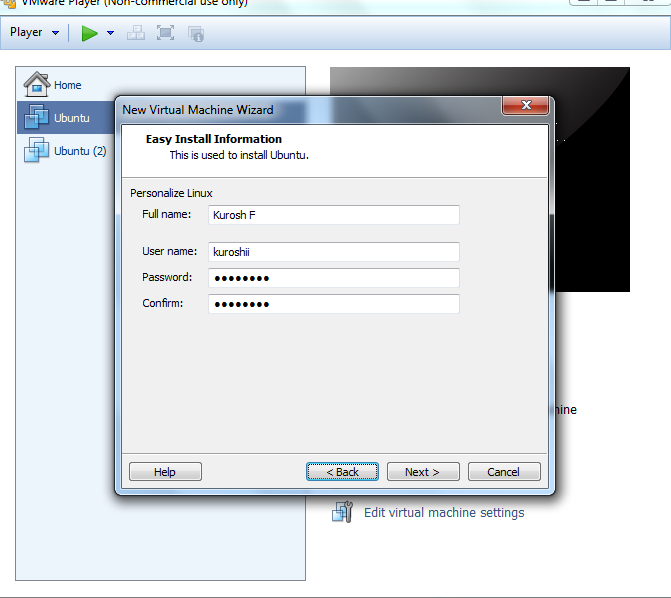 3) Run and Install Ubuntu with VMWare. To do this start the player. 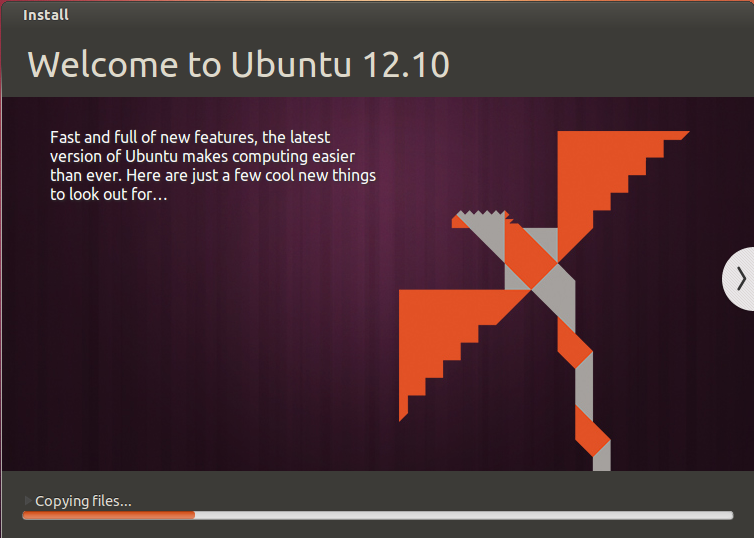 The UI should look like the following without the installed Ubuntu and Ubuntu(2) OS. 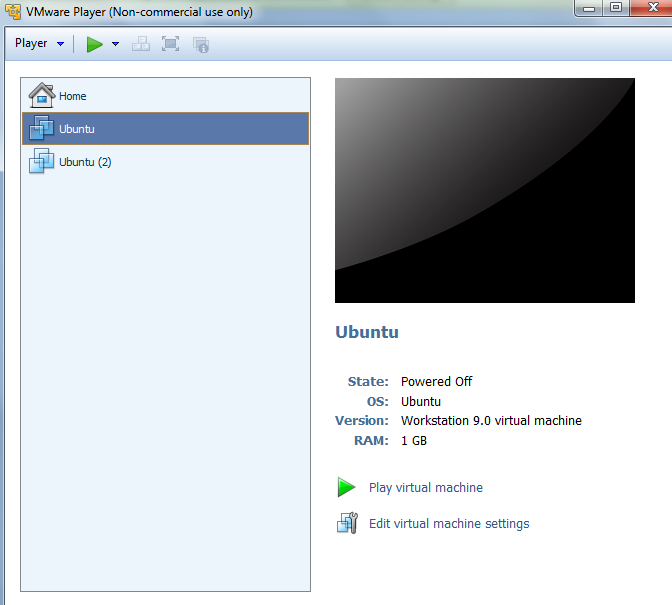 Click on the “Player” tab and go to the “File” and then you should see the “New Virtual Machine”. Click on it and the following window should open up. Please note that in the picture I have already specified that I want my own ISO image and the image is already mapped. 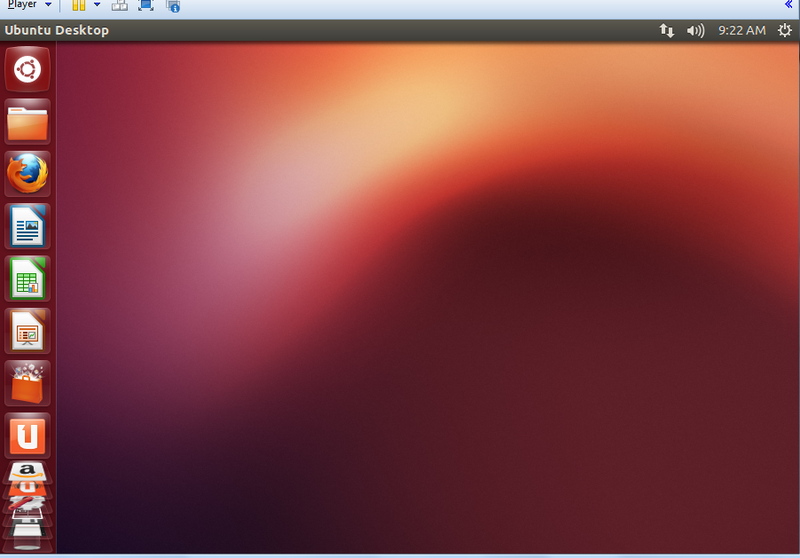 You should specify your own Ubuntu image and the folder/directory you downloaded and unzipped it. Write down your credentials down. Click next and write down the name of your virtual machine and specify the path you want the directory you want the whole thing to be situated/installed and fix your configurations like in the following picture (you are open to do whatever you want of course). and click next few times and just click OK until the whole thing is installed. 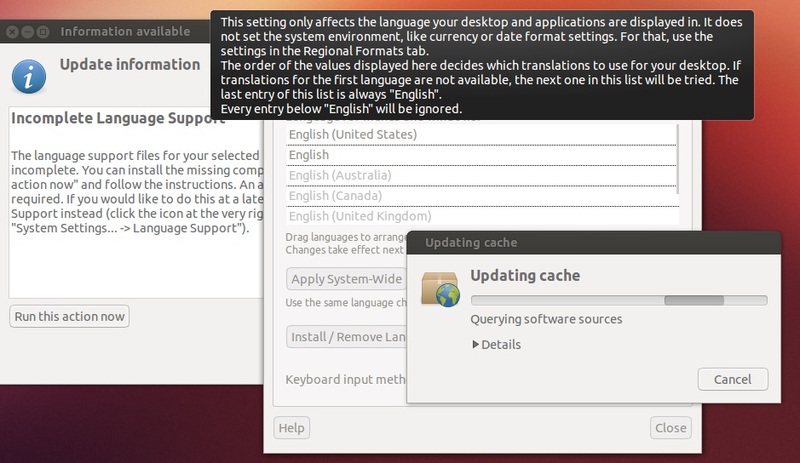 After the installation you have to do some basic configurations for example language, location, keyboard etc. but that’s basically it. 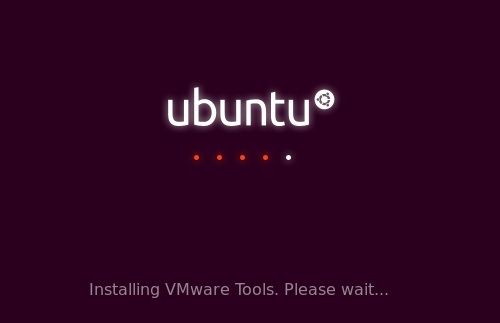 You have successfully installed Ubuntu on your player. Sign in with your username and password and voila. You have your desktop in front of you. I will try to update this post when I have time.